Josh Geary sent the Barfoot & Thompson Akarana Open into euphoria after holing out for an eagle two on the 17th hole to help him break away from the field and go one step closer to a wire-to-wire victory. His near slam dunk helped him to a three-shot lead over Mike Hendry and James Anstiss, topping off an interesting day for Geary who looks to add his name to the trophy for the second time. “It’s been a bit of a weird day but that’s a nice way to finish that for sure, so pretty pleased,” beamed Geary. After being the form player entering the championship, the 34-year-old has been unable to get across the line for a win this summer and now has his best chance yet. He was treated to a good news sandwich after receiving an invitation to the Moroccan Open on the European Tour in three weeks’ time. Geary’s three shot margin won’t be a comfortable one though, with some of New Zealand’s leading golfers within touching distance. Former New Zealand Open champion Michael Hendry looms as perhaps the biggest threat as he looks to win here for the first time. Knowing that he had to make up ground on moving day Hendry went about his work early with four birdies in his first six holes. He then added to his count with birdies at 12, 13 and 15 to lie within striking distance entering the final round. After winning the most recent Jennian Homes Charles Tour event the Harewood Open, Anstiss has a chance tomorrow to make it two-in-a-row. The Queenstown golfer also sits three shots back and will be looking to replicate his opening round of six-under 64. 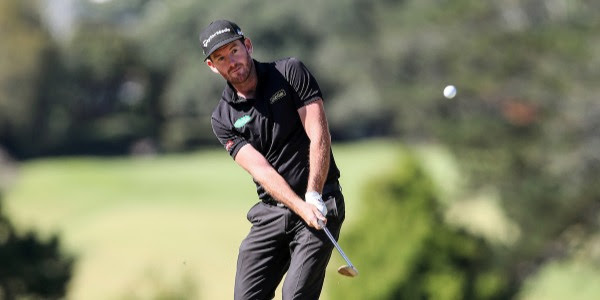 One shot further back is Auckland amateur Jared Edwards, who shot the round of the day today with a seven-under 63 and defending champion Daniel Pearce, who will both need to draw on their very best golf to catch Geary tomorrow. Caryn Khoo has spiced up the women’s field with an amazing round of four-under par to steal the lead at the Barfoot & Thompson Akarana Open by one-shot entering the final round. She takes the reigns from Eunseo Choi with 18 holes to go and is searching for second win on the national circuit. “It feels pretty good, for the past few months I feel like my game is trending upwards, but I just haven’t been able to put it together for 18 holes, so it was nice to do that today,” said Khoo. Hopefully tomorrows tee times will stick to the run sheet after a large rain delay this morning held up proceedings. The first group heads off at 8:30am and entry is free to come enjoy the some of the country’s best in action.